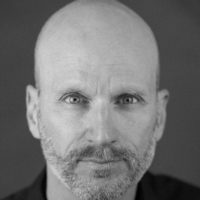 Jon Magidsohn, originally from Toronto, is the author of Immortal Highway and is a memoir writing teacher and facilitator. His work has been featured in The Guardian, National Geographic Traveller, The Bangalore Mirror, Yes & No Magazine, Hippocampus, Full Grown People and has written about fatherhood for Today’s Parent and the Good Men Project. He and his family live in London where Jon received an MA in Creative Nonfiction from City University.